Random House is pervasive across Spanish-speaking Latin America, while Penguin is a growing power in China, India and Brazil. Global. That is the key word in that previous sentence. 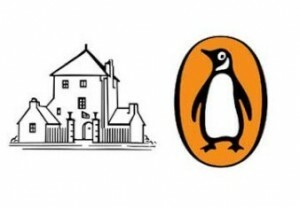 For while the majority of attention surrounding this deal has looked at the impact on the US and UK — home turf for Penguin and Random House — the true merit of this deal is in creating synergies overseas. That Rabe would emphasize the synergies of the two book publishers first is no surprise: Random House and Penguin are primarily book publishers, unlike several of the remaining four large conglomerate publishers whose parent companies appear to have other priorities. That he would emphasize digital next is, well, most likely mere verbiage — neither company is falling behind in the race toward digital. But that he would then bring up the three key global emerging markets, markets where Random House is lagging behind and has limited on-the-ground resources and presence, now that is interesting. Penguin, as it happens, has been developing serious publishing programs in Brazil, India and China for several years now and CEO John Makinson is one of the few major publishing executives to have first-hand experience in all three countries. Of these, Brazil is perhaps the best short-term opportunity for both companies, as last year Penguin purchased 45% of the Brazilian publisher Companhia das Letras, while Random House is all but absent from the market. In India, both companies have ongoing operations, with Penguin having launched its first e-books earlier this year and plans to have all front list titles available digitally by the end of December. In China — which Bertelsmann pulled out of in 2008, closing its bookstores and book club after 13 years in business — Penguin has been been making strides, having established a foothold in 2005 and launching several successful joint ventures, including a partnership with Shanghai Readers 99 to publish Penguin Classics and a training program for translators. Makinson also lamented the fact that the company did not have any “exposure to the southern areas,” adding, “our business in Brazil is not a beachhead into Latin America, we have no Latin American or Spanish-language strategy,” he said at the time. But you know who is already a huge player in Latin America? Bertelsmann. Random House Mondadori is one of Spain’s “Big Three” and the company has significant marketshare across South and Central America, as well as Mexico. The merger will ultimately resolve Penguin’s lack of exposure to the southern sun, giving it access to some 450 million Spanish-speaking readers they never had before. In any industry, consolidation seems only to lead—in hindsight—to more and more reckless endangerment. The AOL-TimeWarner mega-merger was an embarrassment. Airline mergers have only led to increasingly frustrated fliers. While bank consolidations gave us “Too Big to Fail” and exposed all of us to the moral hazard of the financial industry. But, surprisingly, as much as authors and agents might lament the fact that this merger will give them fewer options where they can sell their books (no matter what the merger’s executives are telling the media) and redundant jobs will be lost in New York (yes, that will happen) — once you take in the big picture, the merger makes sense. The United States and the UK are mature book markets, which have been flat or have see only fractional growth for many years now. 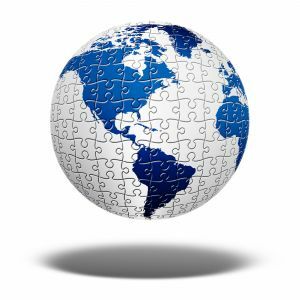 The best opportunities are abroad and by combining forces — like any invading army — it is easier to compete. No, we may not like the fact that we’re now down to the “Big Five,” but we can take some solace in knowing that, at the very least, the moniker is an honorific of sorts. In Africa (perhaps the one part of the world we haven’t mentioned yet), the “Big Five” refer to the elephant, the rhino, the lion, the leopard and the cape buffalo. They are the most dangerous and difficult animals to track and hunt. They are also the hardest to kill. — Carlo Carrenho of PublishNews Brazil contributed reporting to this article.